We will feature different farmers discussing their nutrient management efforts around their farm to feature innovative, creative, and high quality practices. As a way to increase the networks and engagement around nutrient management, farmers can volunteer to be a resource to people looking for more information on their practices. These profiles do not serve as UC recommendations. Rather, they illustrate how different farmers throughout the state regard nutrient management as part of their overall farm management. Farmer Profiles were created with the help of the Community Alliance with Family Farmers. Mark Mason is the manager for Huntington Farms, a third-generation family business in the Salinas Valley, responsible for farming head and leaf lettuce, cauliflower, celery, and broccoli on 4000 acres of land in the Soledad-Salinas area. The fields are generally double cropped per year. He has been at his current position for six years and has worked in other cool season vegetable production enterprises in California before that. For the last 2 -3 years Mark has been working with Michael Cahn, UC Cooperative Extension Farm Advisor in Salinas, to implement CropManage, an on-line irrigation and nutrient management tool. CropManage has been developed by Michael Cahn to improve water management and match nitrogen (N) applications to crop N uptake. The web application uses the soil nitrate quick test results and weather-based irrigation scheduling, in addition to site and planting specific information, as data inputs and allows managers, irrigators, and fertilizer staff to allocate and coordinate resources with the goal of minimizing potential leaching losses of nitrate. 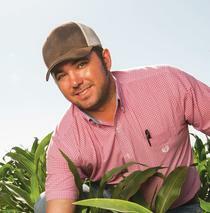 Nate Ray is the general manager of DeJager Farms Inc., responsible for producing forage feed for 8 different diaries with a total of 25,000 cows on 17,000 acres of land near Chowchilla. About 8000 acres are in alfalfa, another 8000 in a corn-wheat rotation, and “since enough forage is produced for the dairies,” 1000 acres are inalmonds and tomato. 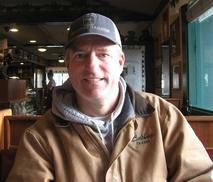 He has focused on improving tillage, irrigation, and nutrient management practices at the farm. Nate’s interest in minimum tillage has its origin in the friendship with a neighbor who went to school in the Midwest where he was exposed to conservation tillage practices, implemented there primarily to control erosion. 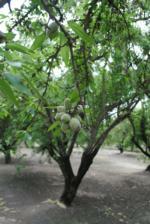 Tom Rogers and his brother Dan are almond growers in Madera, California. 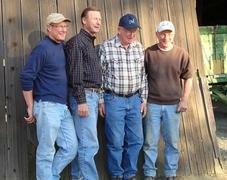 They farm 175 acres on a ranch that has been in the family for three generations. The farming philosophy of the orchard is simple: take care of the soils and they will take care of the trees. To that end, Tom and Dan collect various data and monitor their soils and plant nutrient status to inform their irrigation and nutrient management programs. They believe strongly in protecting their natural resources and supporting the environment to produce healthy trees and quality almonds. Scott Park farms about 1500 acres in Meridian, California. He currently leases and owns 22 separate fields, which are all certified organic by California Certified Organic Farmers. He grows a wide array of crops including corn, processing tomatoes, rice, wheat, beans, millet, stevia, vine seed, and herbs. Today, Scott’s main farming philosophy and approach to nutrient management is simple: "100% respect for the soil." Scott’s gears his practices towards keeping the soil healthy to support crop growth, increase water holding capacity and infiltration rates, and increase soil fertility. The nutrient management plan at Park Farming is based on rotational cropping, cover cropping, incorporating crop residue, and using organic soil amendments. 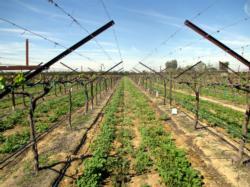 John Teixeira farms 90 acres of land bordering the San Joaquin River in Firebaugh, California. The land has been certified organic since 1991. 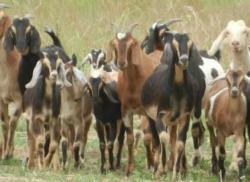 One field also carries biodynamic certification, which will soon extend to the entire farm. The farm has evolved from producing organic cotton, heirloom tomatoes, and basil in the early years, to now focusing on producing pastured pigs, goats, and chickens in rotation with livestock feed, including alfalfa and corn. It also produces ancient grains for commercial sale, including Ethiopian emmer, kamut (an old wheat relative), and Sonora wheat, as well as dry beans, sunflower seed, melons, and honey. In some years the farm also produces salsa from ingredients all grown on the farm, including tomatoes, onions, and garlic. His livestock are direct-marketed to butchers and other buyers in the Bay Area and at local farmers markets, where their excellent flavor and quality have received high praise. His ancient grains are made into pasta and other products. The Muller Ranch, grows organic and conventionally managed tomatoes, peppers, cucumbers, sunflower, walnuts, almonds vine grapes, olives, alfalfa, squashes, millet, wheat, corn, safflower, canola, and garlic on several thousand acres in Yolo County, where Joe Muller & Sons, as the family enterprise was formerly known, was founded in 1967. The backbone of nutrient management, as Frank Muller explains, is regular soil sampling before side dress fertilization ‘every year in every field.’ Records for every field are kept in spreadsheets and long term trends and year-to-year changes inform the annual fertilization plans for each field. Cost reduction and the strong desire to use environmentally sound farming practices were the motivations for this methodical approach to nutrient management. ‘It makes sense not to waste resources, such as fertilizer, pesticides, water. A few hundred dollars for soil sampling can save you thousands in fertilizer costs when spring sampling shows that nutrient levels are high,’ Frank says. At times, they have been able to grow a crop without any fertilizer addition. Paicines Ranch, located south of Hollister, has been operated since the mid-19th century and was purchased by Sallie Calhoun and Matt Christiano in 2001. It consists of 7,600 acres in total, which is divided between 570 acres of farmland and the rest grazing land. The grazing land is temporarily leased to Joe Morris of T&O Cattle Co./Morris Grassfed Beef, which markets grassfed beef directly to the public. Paicines Ranch is managed by Kelly Mulville, who is a Certified Educator with Holistic Management International (HMI), and also a UC Santa Cruz Farm and Garden graduate. The irrigated land has been leased to large scale organic growers, but as those leases expire the ranch will assume farming with the intention of building soil health (increasing soil carbon, water infiltration, water holing capacity and soil biology), increasing biodiversity and integrating livestock into polycultures of perennial and annual crops. vegetables, fruits, and nuts to cut flowers, eggs and wool. Developing a nutrient management plan for grapevines requires testing vine nutrient status and understanding the nutrient requirements of the plant. Like most plants, grapevines take nutrients from the soil based on the stages of their development, and nutrient uptake curves have been developed to assist growers. By comparing the nutrient needs of the plant based on development stages with the results of the petiole samples from the vineyard, Charlie creates a nutrient management plan to provide the grapevines with the right amount of nutrients at the right time. By matching his irrigation schedule to the evapotranspiration of the vines, and by using petiole samples and the nutrient uptake curves of the vines, Charlie is able to optimize his applications of nutrients and water to make sure that water and nutrients are staying on farm.